Workers and employers will have to pay more tax as a result of the scrapping of the State Second Pension. The government’s latest attempts to revamp the state pension system will see more than six million workers, as well as hundreds of employers, suffer a stealth tax rise from next month. The new state pension launches on April 6, offering those who reach state pension age after this date a flat rate of up to £155.65 a week. It will replace the current basic state pension, while the state second pension will be abolished too.The closure will mean a system called ‘contracting out’, which allows workers and employers to pay lower National Insurance contributions, will also end. On the gaining side, the treasury gains because the reduction in National Insurance rates which results from employees contracting out of the Second State Pension will no longer apply. On the losing side is an effective rise in tax for those who contracted out of the Second State Pension. This amounts to a 1.4% tax rise. And employers will pay an additional 3.4%, although that won’t stop them from changing workplace pension arrangements so that the cost will be passed on to employees, which is what the Royal Bank of Scotland is doing. The new flat-rate pension is £155.65 per week. Amounts paid into the Second State Pension before April 2016 are protected from any raid by the Treasury. Ditto any amounts paid into SERPS, its predecessor. This article in Which? explains the arrangements very well. Why is the Chancellor doing this? The short answer is to raise £5.5bn. A longer answer probably involves explaining why a simplification in the National Insurance and State Pension regimes is a good thing. But as with all statements that start with “Looking to the future…” or “Promoting change…” what follows usually means a cost to those it’s aimed at. Pensions are unsustainable at their current levels, and the Chancellor has a difficult problem to solve. Ideally there will be millions more people working and contributing to the treasury. But the ratio of workers to pensioners means that pensions as a proportion of tax revenues is too high. Either pensions must be cut or taxes must rise. So the Chancellor has effectively raised the taxes of those who will eventually be receiving pensions. Many believe that sooner or later, the spend on pensions will need to be reduced anyway, but no party will expect to win an election with that in their manifesto. 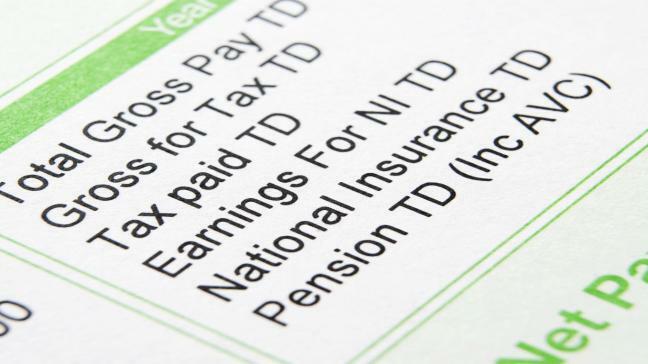 Bad news for employees, who now cannot save part of the National Insurance contributions in their employer’s scheme. Worse news if the employer passes on their share of the tax rise to employees. The Chancellor is committed to wiping out the annual budget deficit, and this £5.5bn is a huge step towards it. But raising taxes was always an option. And while he gives with one hand, by raising tax thresholds, he takes with the other.